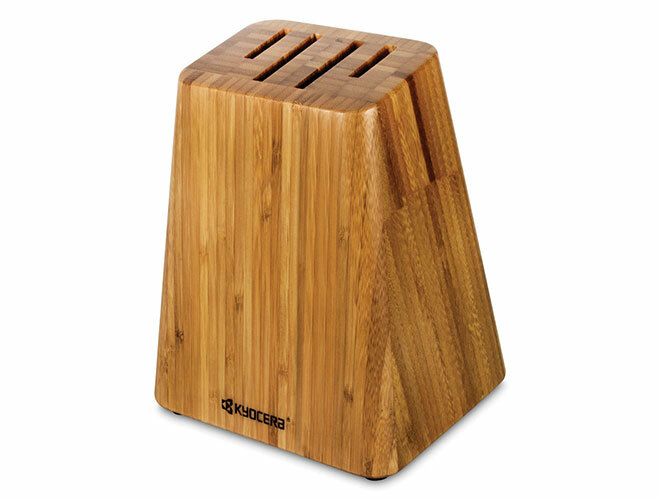 The Kyocera 4-slot Bamboo Knife Block securely accommodates four Kyocera Advanced Ceramic Knife sizes from a 3-inch paring knife to a 7-inch chef's or bread knife. Idea for kitchens with limited space, and keeping your knives easily accessible. 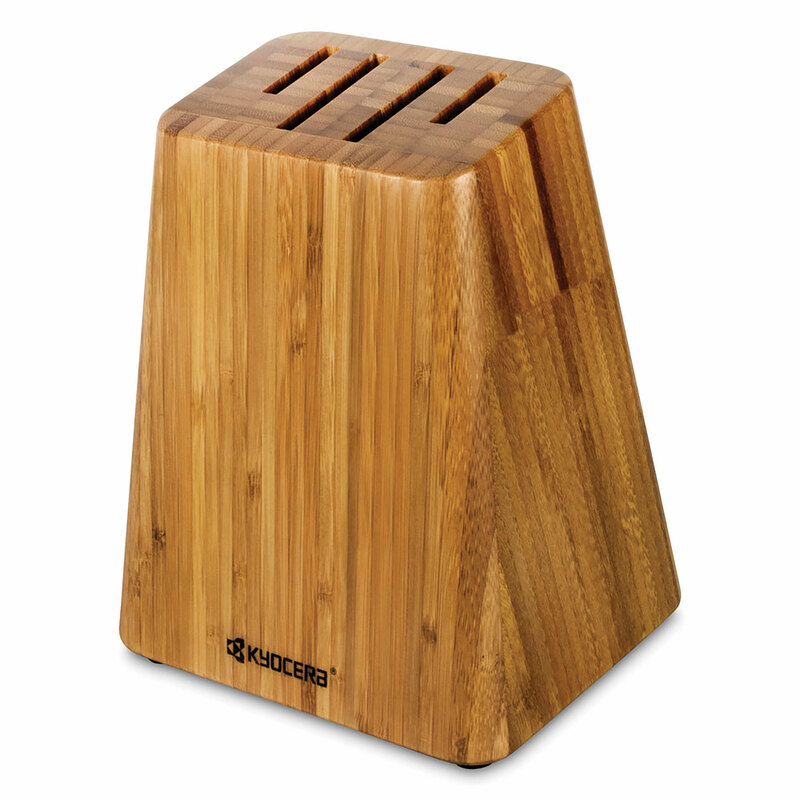 Features rubber feet to secure block from slipping and protect counter. High quality construction designed for years of daily use with debossed Kyocera logo on the front.